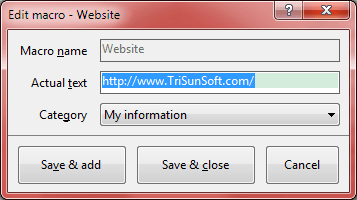 You can click here to download the package of compressed screenshots. 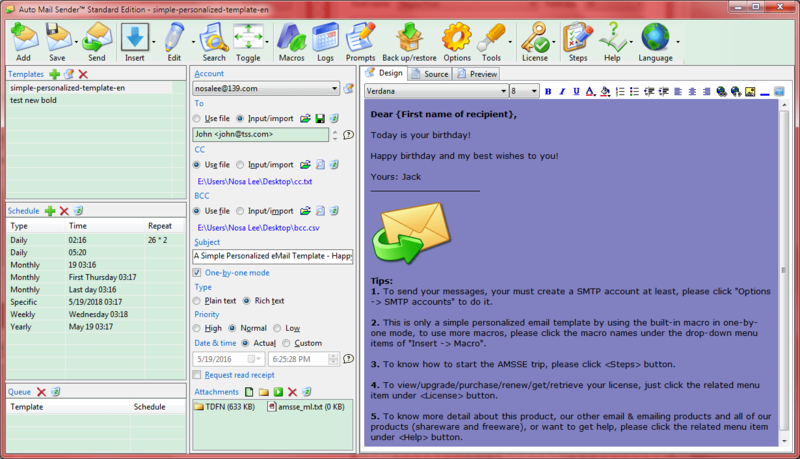 The Main Interface - Write/save/open/edit/send eMail templates, set sending schedules and manage the sending queue, it is your main work interface, all other interfaces and functions are called from here. 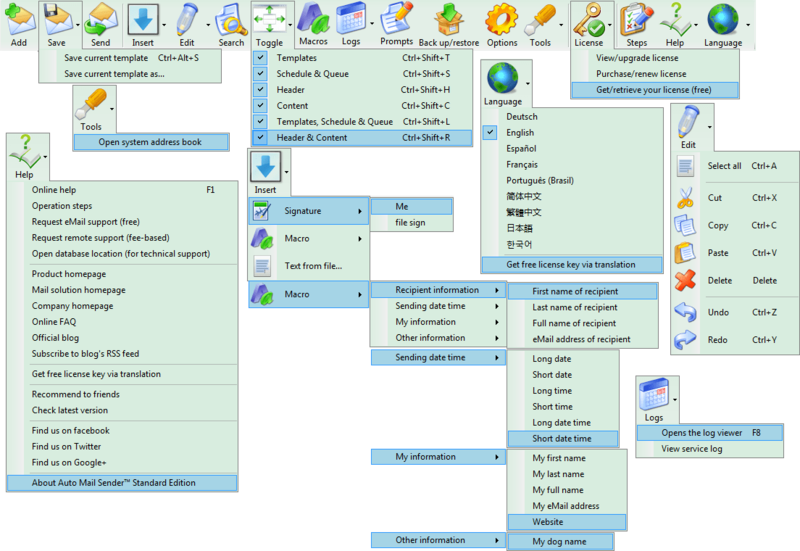 Toolbar of the Main Interface - Lists all toolbar buttons and the drop-down items on the main interface. 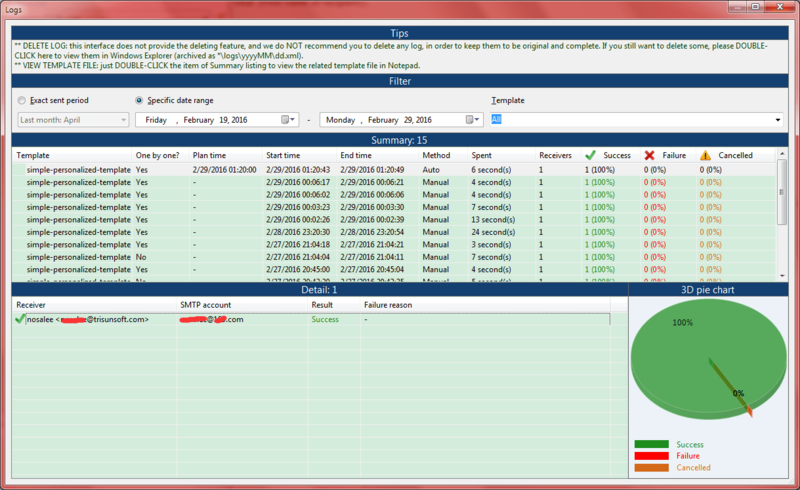 Log viewer - Used to review the sent emails and recipients with the enhanced visual statistics (counts and 3D pie chart). Sending progress & results (one-by-one mode) - Displays enhanced visual statistics (counts and 3D pie chart) during sending in real time. Sending progress & results (non-OBO mode) - Displays sending progress and results during sending non-OBO email in real time. 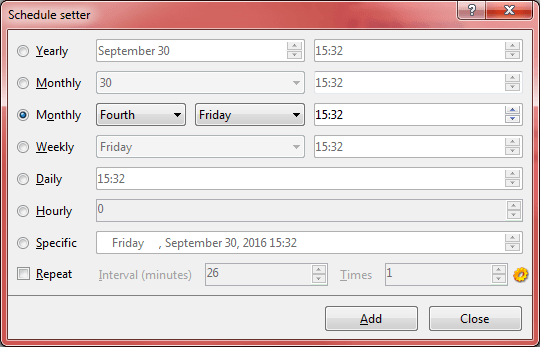 Schedule setter - Adds the specified sending schedule for the selected template. 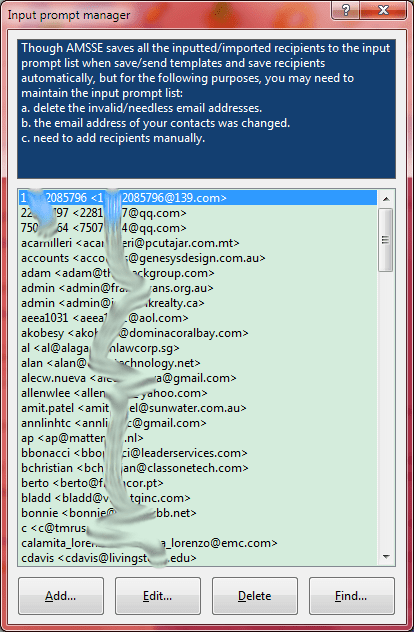 Options - Set your SMTP accounts, proxy servers, signatures and other preferences for using AMSSE, writing and sending messages. 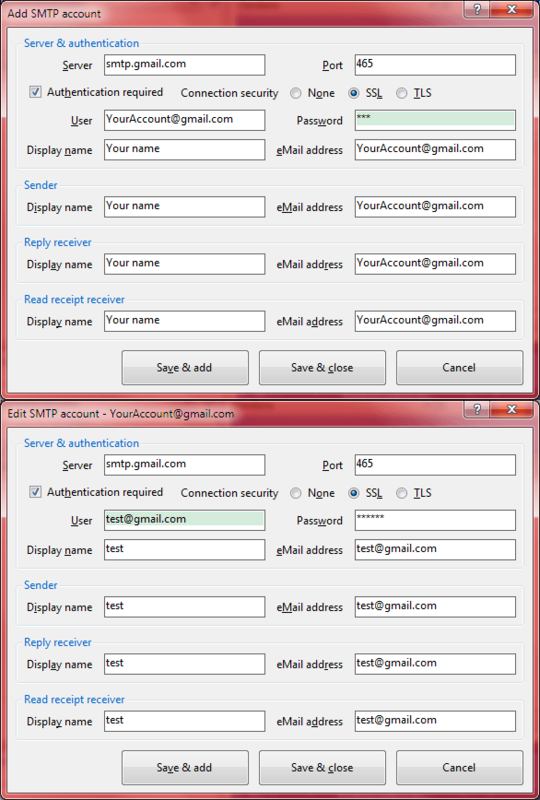 SMTP account editor - Add or edit a SMTP account. 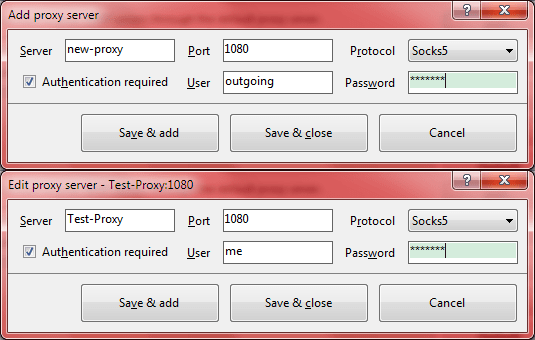 Proxy server editor - Add or edit a proxy server. 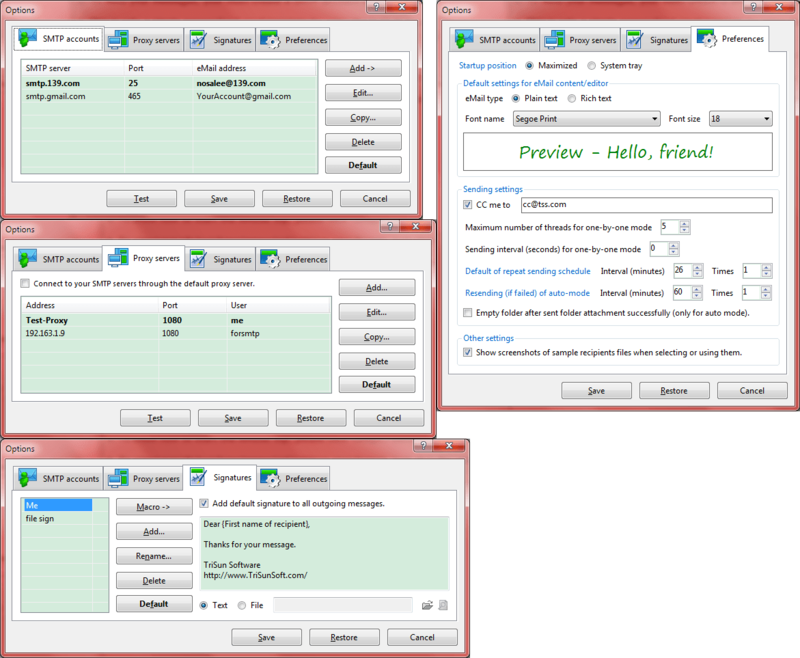 Macros manager - Manages all your macros, you can use macros to make the personalized messages for each receiver in ONE email template. Macro editor - Add or edit a macro. 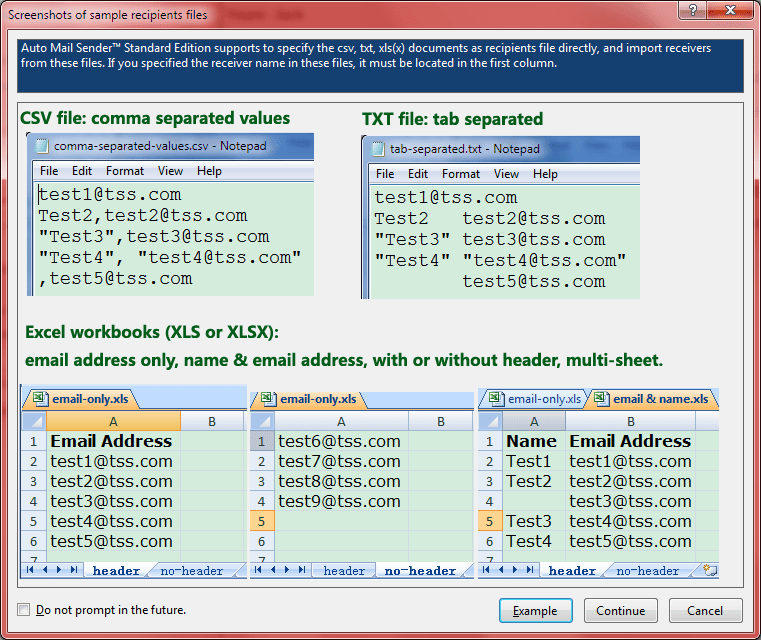 Select recipients from files - Selects recipients from files, supports the text files (.txt, tab separated), Excel files (.xls/.xlsx, multi-sheet supported), the comma separated values files (.csv) and all other format text files. 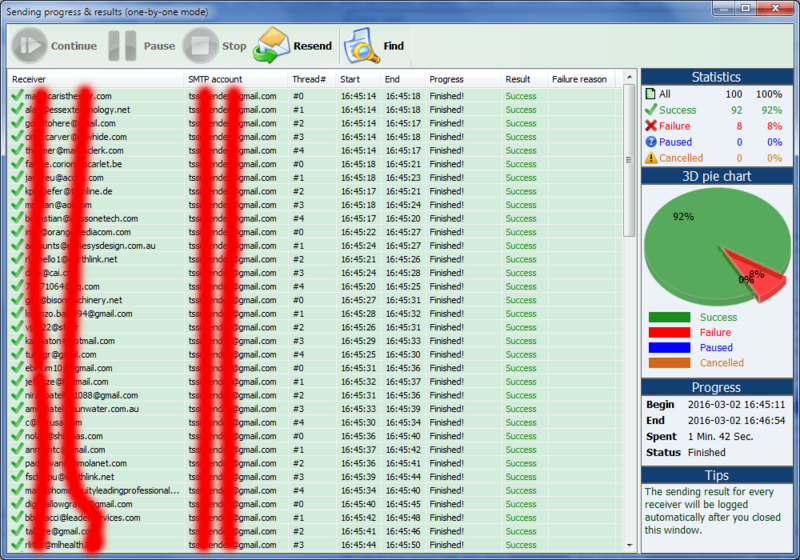 Screenshots of sample recipients files - Shows the screenshots of the sample recipients files when you use them, you can also open the containing folder of these sample files on this interface. 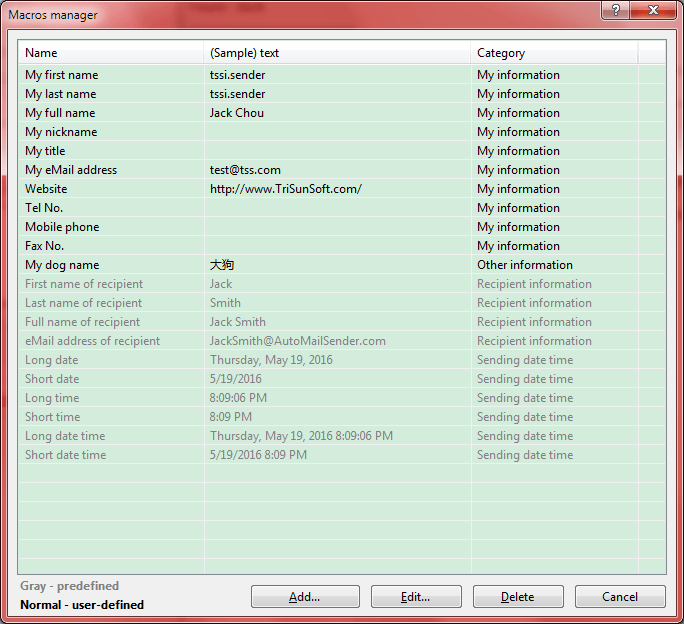 Input prompt manager - Manages the inputted recipients list - the source of the input prompt. 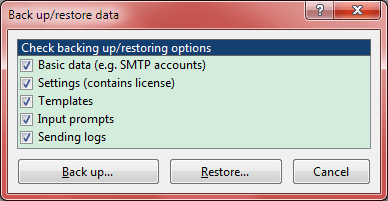 Back up / restore data - Backs up the specified AMSSE data to other path (use the non-system drive generally), or restores your data from a backed up path when you need them. View/upgrade license - Views your current license type, license expiration, license offer/spent and [Licensed to] information, you can also input license key to upgrade it to the higher license on this interface. Splash - The splash interface, displays program name, copyright, website and other information. About Auto Mail Sender™ Standard Edition - Displays program information, version number, copyright and license information.